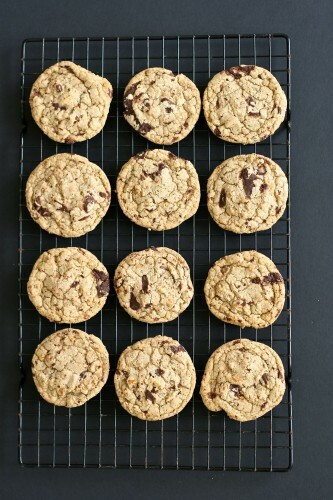 This marks the second year I participated in the Great Food Blogger Cookie Swap. 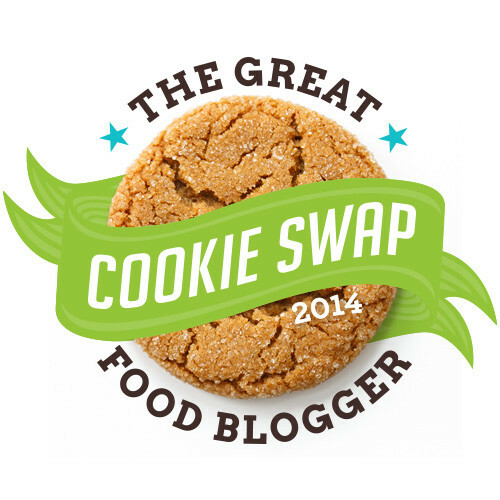 In case you aren’t familiar with the swap food bloggers all across the country sign up, pay a small fee (which gets donated), and exchange a dozen cookies with three different people. 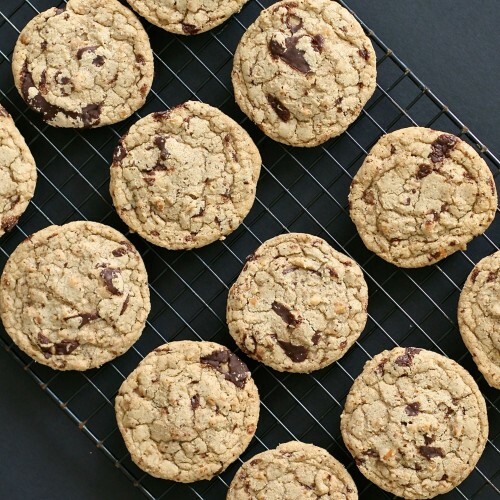 It is great because the money raised from the swap goes to Cookies for Kids’ Cancer and I get to try three dozen different cookies from great food bloggers. It is reported that 566 people participated and together we raised over $12,000! Awesome! Getting cookies in the mail is great. But supporting this non-profit is even better. They are dedicated to funding research for less toxic, more effective treatments for pediatric cancers. Since 2008 ELEVEN new treatments have been developed largely due to the support of grassroots efforts. I’d say that is pretty sweet. 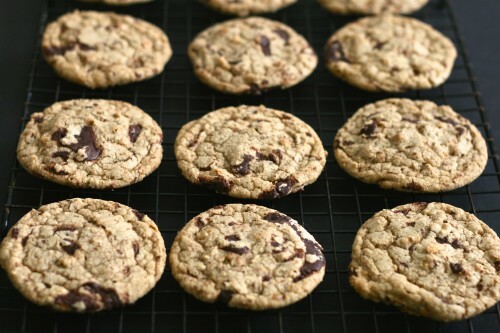 Be a Good Cookie and visit their website to find out how you can host a fundraiser, order cookies, or donate. This year’s swap cookie was inspired by some of my favorite food things. I love good chocolate and sweet toffee. To balance out the sweet I need a little salt so that is where the pretzels come in. For good measure I use browned butter to provide a nutty flavor without adding actual nuts. This turned out to be one dynamite cookie a little sweet and a little salty. I was the lucky recipient of Pecan Fudge from The Tasty tRuth,Â Gluten Free Gingerdoodle Cookies from Delicious by Dre, and Winter Fruit and Nut Swirls from A Plateful of Happiness. I’m glad you enjoyed the cookies I sent, Jamie! Yours look delicious. All the things I like too. The sweet and salty combo is so tempting. I will try these soon. Thanks for the recipe. Happy Holidays! 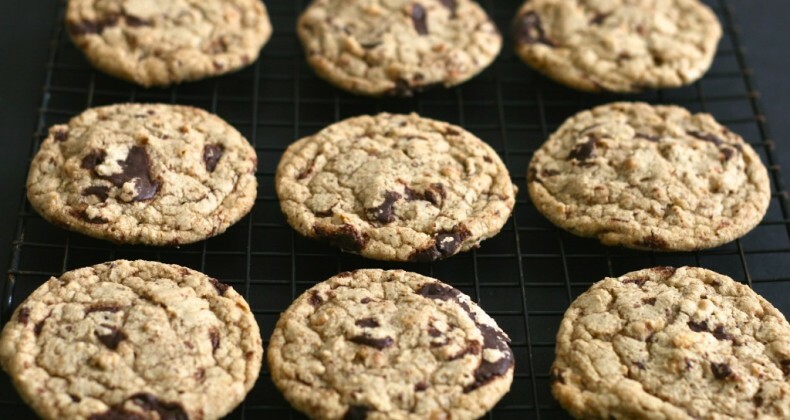 I love chocolate and pretzel combos, but I never thought to do it with cookies. Looks like a great recipe! This is a total experiment that worked! These cookies really knocked my socks off! Thanks so much for sending them and your super sweet note made my day! Merry Christmas Jamie! These look really good. I love that combo of sweet and salty and this sounds like a homerun! Thanks Jess! They were super tasty. The first time I read about it I knew I needed to do it. Such a fantastic cause. These are just perfect!! Toffee and chocolate? I so want to try this! !